A second degree black belt, Davin Tryon provides an open and supportive atmosphere for training Poekoelan. It is his great honour to represent his teachers in London. Introduced to the art in 1997, Davin found the balance of gaining an important life skill while improving his general strength and endurance to be an inspiring combination. In addition to an excellent fitness regime, training this exceptional martial art allowed him to grow in confidence and greatly improve his physical, mental and emotional life. Since 2009, Poekoelan London has provided a means for Davin to share Poekoelan with others. One of Poekoelan’s key characteristics is inclusiveness so that, while working within a clear and carefully designed framework, each student can develop the art according to his or her own strengths. So it is at the heart of Davin’s teaching that anyone attending his class, irrespective of fitness level or aptitude, is given the best opportunity to grow in strength, confidence and skill. Fifth degree black-belt, Goeroe Karen Kruse founded Poekoelan London. After moving to London from Oregon in the United States, Goeroe Karen began teaching in Holland Park, a stone's throw from her apartment in west London, in the winter of 2006. Soon after she established a twice weekly class at Fitness First gym in nearby Shepherd's Bush where she taught for the next three years. 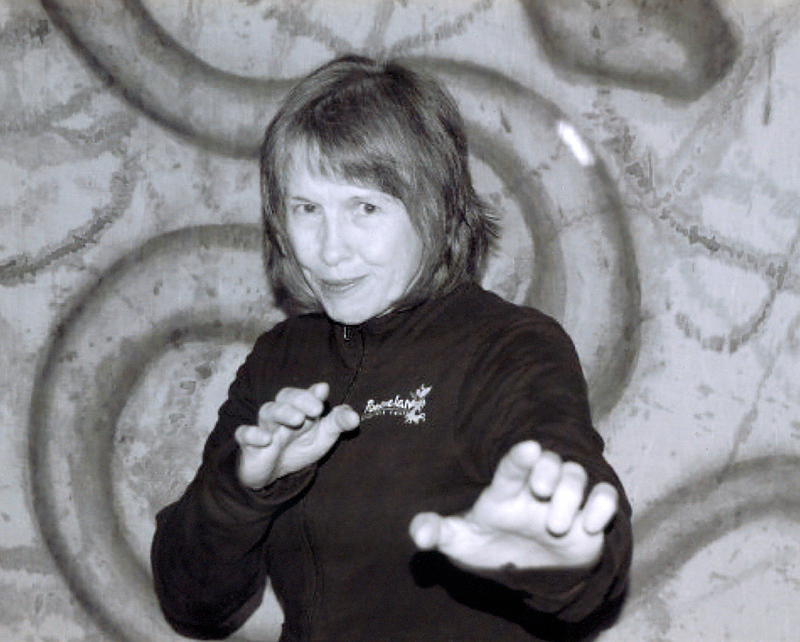 Today we remember Goeroe Karen as an experienced martial artist, dedicated teacher and a loving friend, and continue to be inspired by her example.